- Take the expensive branded route for frequently worn cloth pieces only and the reverse route for accessories and jewelry. Invest in a good pair of bottoms-denims, trousers since they are repeated more often. Avoid purchasing accessories from branded stores. Hoard them from the flea markets instead. - Follow the rule: Affordable Fashion. Buy only if you find something extraordinary and worth the investment. - The LIST : Everything is haywire if you don't know what to buy and from where to buy.Start making a list of what all you need, and shop the very next weekend. - Try buying accessories like scarfs, chokers, quirky neck pieces, rings etc that can revamp some of your old outfits completely. A new outfit without spending much! 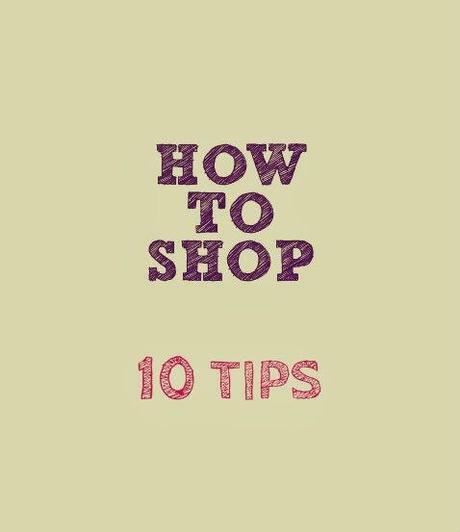 - Buy only what is missing in your wardrobe.You might end up buying repeated style or clothes. - While shopping from flea markets, imbibe some strong bargaining skills if you lack any. Give a close watch to the material and defects. - "Size does matter". The only reason you should not buy wardrobe essentials from the fleas. Hop to the stores instead. - Keep a track of the Sale Season. Shop for the upcoming 1-2 months during this. Ethnic wear are a steal during sales. For off-sale season, head to the nearby boutiques instead. - Some online stores offer latest trends that you don't find in the markets. Splurge on these. Avoid buying shoes online. - One can always try the factory outlets esp for sportswear. They offer heavy discounts throughout the year. - Last but very important, always go with a budget with margins and try not to exceed it so you don't have guilt bangs as an aftermath.